Bookkeeping and accounting are two of the most important ongoing tasks for any business owner, and it should not be a do-it-yourself endeavor. You want your business to grow, in order to do so you need to delegate certain aspects of running your business to qualified individuals you trust to do their jobs. While you don’t have to outsource or delegate everything, there are certain things that just don’t make sense to do yourself. Bookkeeping and accounting are two areas of your business that are best handled by a trained professional. 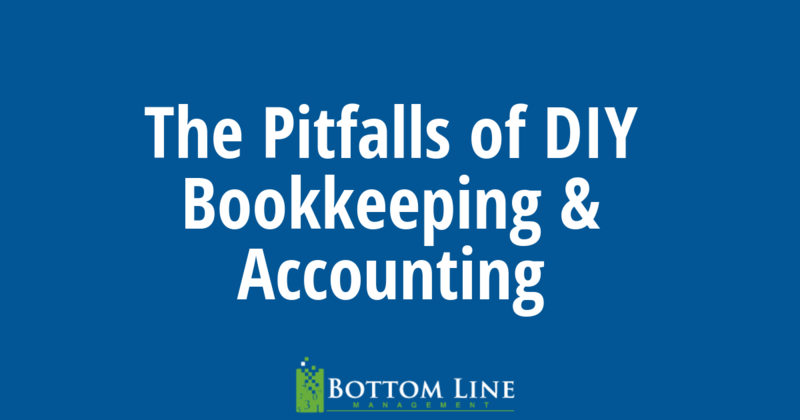 Here are four reasons why DIY bookkeeping & accounting will hurt more than help your business. On any given day you’re busy tending to all of the different responsibilities that go along with maintaining and growing your business. As your business grows time management becomes an issue, this is when some essential tasks fall by the wayside as higher priority issues grab more of your attention. Despite your best efforts to effectively manage & maximize your time, there are always unexpected issues that arise requiring your attention – and time. Before you know it, it’s been a couple of months since you last tended to the bookkeeping & accounting. If you aren’t able to schedule and stick to doing bookkeeping tasks religiously, you’ll fall behind on recording your expenses and reconciling bank & credit card statement. This will eventually lead to big financial problems for your business. Free up your time to do what you do best – run your business, leave the bookkeeping & accounting to a professional. The term tax audit sends shivers up the spine of business owners. Nobody wants to experience a tax audit, and many business owners feel that if they haven’t done anything ethically wrong or committed a crime, that if an audit does befall you, you’ll work your way through it. 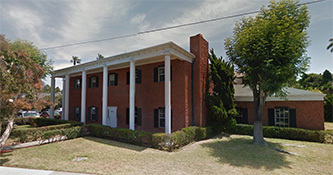 Even the simplest clerical errors can appear like fraud to an IRS investigator, and it’s not so easy to prove something that appears to be misleading is just a simple mistake when dealing with numbers and money. That is of course unless you have an efficient bookkeeping & accounting system in place, with well-organized financial records. We enjoy letting our clients stay in their comfort zone by taking their piles of receipts and records off of their hands, that’s what a professional bookkeeping service does. An efficient bookkeeping & accounting service makes sure everything balances to the penny every month, and when you complete your year-end service, you want everything in a neat financial package that’s ready to go for your CPA. Clients tell us that makes their tax season go a lot smoother, and limits their probability of making costly mistakes that could result in a tax audit, or worse. As a business owner, on any given day you’re being pulled in many different directions. Each hour of your time is valuable, and even though you’re doing the bookkeeping & accounting services yourself, you’re still incurring a cost. To help you determine whether a task is better assigned to a dedicated person or you’re able to do it yourself, you can attach a value to the time it takes to complete the specific task. This will help you determine whether that task is best completed by yourself, or by someone whom you’ve delegated to handle it. For example, if you decide that your time is worth $75/hour and you spend 40 minutes each day on accounting and bookkeeping tasks, you’re spending about $1,000 a month. As a business owner you need to understand the cost associated with DIY bookkeeping & accounting, even though it’s not costing you any money out of pocket per se, you are spending a great deal of time each month tackling these financial tasks. Furthermore, since a primary concern of any business owner is how to reduce expenses, a professional bookkeeping & accounting service is likely to be more efficient and less expensive than going the DIY route. Although math is universal, and accounting is a standard business-related task, that doesn’t mean they’re easy subjects. In addition to education – and continuing education – professional bookkeepers and accountants spend years studying their craft. Unless you have a bachelors degree in accounting and remain up to speed on the latest software, you’re best served leaving it up to a professional. Even if you do have an accounting degree and an MBA, aren’t there more pressing things to do for your business on a daily basis? Servicing your clientele, reducing your expenses, increasing productivity, and acquiring more new customers is where your time should be spent, not DIY bookkeeping & accounting. professional article. gives me basic knowledge about this field. thank you for sharing this information.